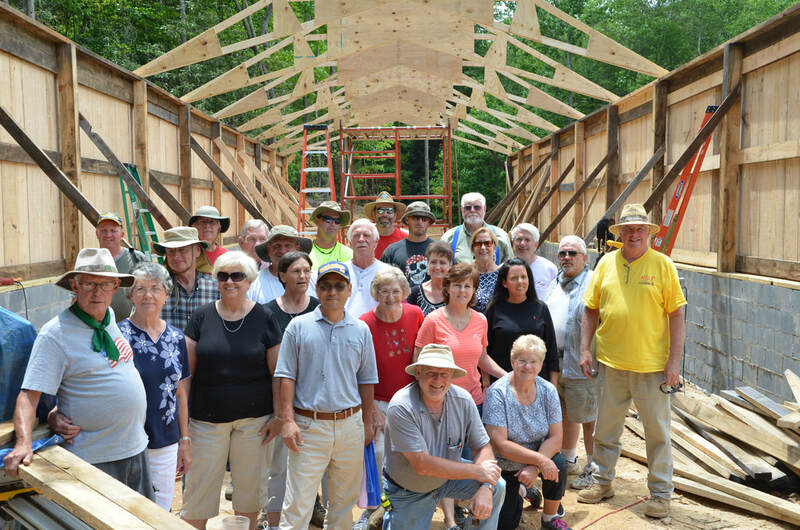 Each year, men and women from our association churches work together on construction projects for churches and Christian ministries in Georgia and in other states. Please contact the Mid-State Baptist Association or Al Andrews for more information. Builders for Christ is a group of men and women serving Christ in the mission field of church construction. We help churches build their buildings by providing and coordinating volunteer labor. Our building teams consist of volunteers from all walks of life, including contractors, public servants, computer professionals, students, retired people, nurses, truck drivers, and more. There is a job for everyone with a servant heart and willing hands. ​ The Builders for Christ Leadership Team organize and plan the mission trip for the construction project at the host church. Each construction project is comprised of a Project Team Leader, a Construction Leader, a Safety Coordinator, Team Leaders, and a Kitchen Coordinator. Logistical preparation for, and support of the volunteers by the host church is essential and significant, as each of the volunteers pay for their own expenses while working on the construction project, including fuel, transportation, food and lodging. The host church is responsible for procuring and paying for the land, site work, slab work, building materials, equipment, building design, project development costs, permitting, etc. Builders for Christ offers assistance to the host church by providing volunteer labor for light gauge steel framing, wood framing, brick veneer masonry, roofing, electrical conduit and wiring, electrical service and fixtures, plumbing rough-ins, HVAC ductwork and piping, drywall installation, door and hardware installation, cabinet work, finish carpentry, and painting. Help us “BUILD THE BODY OF CHRIST”.